« School’s Out: Now What? Bill Scollon is a 20-year veteran of The Walt Disney Company, producing more than 200 educational videos and DVDs. His written work is featured in the Goners book series, and in many books for Disney properties, including Mickey Mouse Clubhouse, Minnie’s Bow-tique, Winnie the Pooh, Sofia the First and much more. He’s produced DVDs like Bill Nye the Science Guy, Schoolhouse Rock: Earth! and the Wild About Safety animated series. 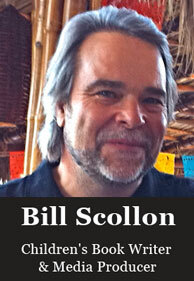 Bill runs his own company, Scollon Media Arts, working as a self-made children’s book writer and producer. Welcome to Wizards of Words, Bill, and thank you for answering our questions! 7 Magic Islands: We know your early working years were spent in the puppetry business, with a job as a puppeteer and a costumed stage character for Scollon Productions. Going back a bit further, when did your interest in the entertainment business begin? Bill Scollon: Pretty much from birth. No, seriously. My mom (Allie Scollon) began tying strings on dolls to make marionettes when she was a little girl. By the time I came along, she was already an accomplished puppeteer, and she got me involved right away. As soon as I could sit up, she painted me green and sat me on a puppet stage. I played a giant as Lilliputian marionettes danced around me! No word on how many villagers I tried to eat. 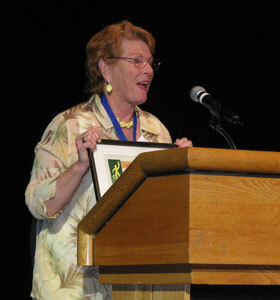 By the way, the Puppeteers of America recently presented my mom with a Lifetime Achievement Award. 7 Magic Islands: Wow! Please pass on our congratulations to her! We are huge fans of Disney at 7 Magic Islands, and you were with the company for nearly 20 years. What was your experience like with the company? Bill Scollon: My 20 years at Disney were spent as a producer and, for eight years, the department head at Disney Educational Productions. We produced new, short programs for schools and libraries and created educational materials for other classroom-appropriate programs from the Studio. It was great fun creating programs using Disney characters as well as working closely with talent like Bill Nye the Science Guy. We adapted his programs for classroom use and did a number of new shows with him. It was also a thrill to work with the original creators of the Schoolhouse Rock animated shorts to produce an all-new series, Schoolhouse Rock: Earth! 7 Magic Islands: We would have been totally star-struck, for sure. After spending so much time at Disney, you must have some great memories. Can you tell us about a few of your top moments with the company? Bill Scollon: As far as memorable moments, a couple of things come immediately to mind. I was producing an educationalhort featuring a live-action Peter Pan. We wanted to do a flying scene with the actor. I went to the animation archives and thumbed through original backgrounds from the 1953 film. It was very cool to be that close to the classic original animation cels! We ended up using several in our short film, and it worked out great. Another great opportunity was being able to form a relationship with Roy E. Disney. 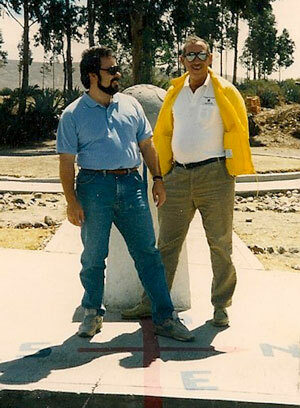 I was asked to join him as a representative of the educational department on a trip to Ecuador in the mid-1990s. The company offered to help train animators to create educational films to address local needs. We toured the country, met with artists and writers and had dinner with the president at the palace! The best part, of course, was forming a lasting relationship with Roy. 7 Magic Islands: That sounds incredible! We bet you have even more stories about Disney, but let’s talk about your own company for a moment. When you moved on from Disney, you founded Scollon Media Arts. Who are some of your most memorable clients working for your own company? Bill Scollon: Most of the production work Scollon Media Arts is done is the area of educational and corporate training films. Projects that stand out include a series of PSAs for the California Department of Recycling featuring their animated spokes-dinosaur Recycle Rex and my wife’s productions of Disney’s corporate image and training film, Disney Traditions. 7 Magic Islands: It must be nice to have that kind of variety while still staying connected to your Disney roots. You’ve been involved as a producer for Disney Educational Productions, including work for Bill Nye the Science Guy, Schoolhouse Rock! and Timon and Pumbaa, just to name a few of the 200 programs you worked on. Though you weren’t a writer yourself, you hired and supervised scriptwriters. What are some of the writing elements that make a good educational video, DVD or stage show? To be clear about whom you are writing for. The worst writing comes from people who declare, “Why, its for everyone!” It’s not. Define your audience, then research it and get yourself inside the mindset of the viewer. To be clear about what the underlying educational objectives are. It’s best not to have more than three objectives in a 20- to 30-minute production (classroom-friendly running times). The goal is to hit the objectives at least three times – early in the story, then again from another angle, then in review. If there are too many objectives, the information overwhelms the story and you lose your audience. Use the objectives as the starting point for creating a story. Don’t try to lay an existing story over objectives. Lastly, make the story compelling. The film only works if the audience is paying attention. 7 Magic Islands: Those are great tips for book writers as well. Speaking of which, you wrote on a number of subjects when it came to your educational books and other media, from geography to life lessons to science and beyond. What topic proved to be the most challenging for you to tackle and how did you work your way through it? Bill Scollon: In terms of producing educational videos/DVDs, the toughest subject to address always seemed to be math concepts. The difficulty (at least in my experience) is that the subject matter doesn’t easily lend itself to a creative story format. And, as we all know, educational videos that simply feature an instructor teaching, as if to a class, are a snore. 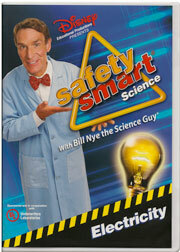 The best math series I was involved in was the Bill Nye: Solving for X programs that present early algebra concepts. In terms of books, I find writing “stepped readers” for young children to be a real challenge. You have a very limited vocabulary and few words per page. Within those constraints, it can be tough to make a story that’s educationally sound and interesting. For those kinds of projects, I just put my nose to the grindstone and work my way through. 7 Magic Islands: Sometimes that’s the only way to go. You’ve worked on various activity and novelty books featuring Winnie the Pooh and Mickey Mouse and his friends. As a writer, what’s the process of working with a designer or illustrator when it comes to novelty books? Bill Scollon: It may surprise some, but writers typically don’t work directly with designers and illustrators. They’re two very different functions and publishers don’t want to have overzealous authors giving artists direction. That’s the editor’s job. I do deliver art notes with most of my manuscripts. These are in text form only (which is good, because I can’t draw) and they let the art team know what I had in mind when I wrote the manuscript. Of course, the final result can be very different – and is usually better that I imagined it! 7 Magic Islands: It’s interesting how that team works. Great to know you’re getting such wonderful results! Speaking of collaboration, you worked with Jamie Simons on your own young adult sci-fi series Goners, following the adventures of alien teens coming to the rescue of lost mission specialists. How was the series received and would you consider writing in science fiction again? Bill Scollon: I really enjoyed working with Jamie on Goners. But, in retrospect, it was pretty grueling. We put out 10 books in two years, which meant that we had to deliver a manuscript every seven weeks! On top of that, we had to keep up with revisions, reviewing galleys, and… oh yeah, maintaining our demanding full-time jobs! The books were well received, but ultimately did not catch fire. I didn’t return to that kind of creative writing until just a few years ago. I’d love to write sci-fi again. I love creating new worlds! 7 Magic Islands: We’re all about new, magical worlds at 7 Magic Islands! You are a former writer for The Burbank Leader, penning more than 50 restaurant reviews for the LA Times publication. The reviews are geared toward audiences who are generally adults. You’ve written work for as young as preschoolers (Special Agent Oso and Mickey Mouse Clubhouse Early Readers) to young adults (Goners). readers and understand what they’re looking for in media and what’s appropriate for each age group? Bill Scollon: Now, that’s a good question. And, honestly, I don’t know how I do that. It’s definitely a strong suit of mine. I’m able to pretty quickly get into the mind of my audience and, equally as important, the mind of whatever character I’m writing for. I’m pretty empathetic, so I suppose that helps. It’s not as easy for people that are overly self-absorbed. You have to set your own voice aside and let the voice of the character come through. 7 Magic Islands: That’s a great way to look at story telling! When reading about your work, we found you’d co-written your own screenplay: The Plush Life, inspired by your work as a puppeteer and costume character. First of all, can you tell us about your personal slice of “the plush life” as well as the screenplay? Where is the screenplay now in terms of production? Bill Scollon: Ha! So, mom’s puppeteering led to the creation of a company that toured both marionette shows and costume character stage shows. I worked every summer and any other time I could get out of school, performing shows across the US in malls, fairs, grand opening events, etc. So, I’ve been a Banana Split, Barney Rubble, Boo Boo Bear and numerous other characters. Along the way, I had lots of unusual experiences that can only come from dancing around in a giant fur suit. Anyway, the screenplay is a comedy, of course, and is making the rounds. By the way, that’s Hollywood-speak for “nothing is happening with it.” But I wrote with one of my best friends, so creating it was a blast! Actually, these days the writing keeps me busy. 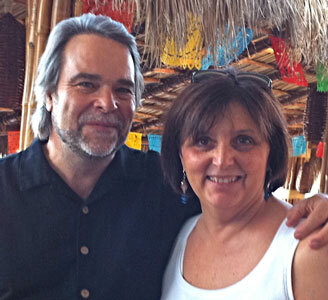 But, my wife Barbara, a video writer and producer (as well as a jewelry-maker!) and I did recently produce a training film for Mattel. 7 Magic Islands: Sounds like you both have more than enough on your professional plates! From the way you talk about your work, it’s clear you’re passionate about what you do. What project has been your favorite to work on and why? Bill Scollon: That’s a tough one. Favorite project? Sounds trite, but it’s usually whatever I’m currently working on. I get enthusiastic about writing projects, especially if there’s something new or unique about it; something I haven’t done yet. For my all-time favorite writing projects I’d have to say the Goners books, the Sofia the First books I’ve done and my upcoming biography of Walt Disney. 7 Magic Islands: Oh, yes! 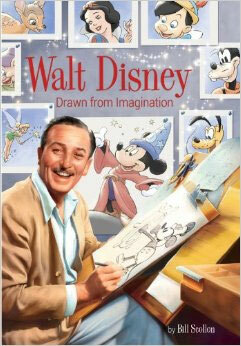 We saw you recently completed the book and it’s to be released in July: Walt Disney: Drawn From Imagination. It seems this biography is the first of its kind when it comes to your body of work. Tell us about how you put the book together. Bill Scollon: I’m excited about this book. 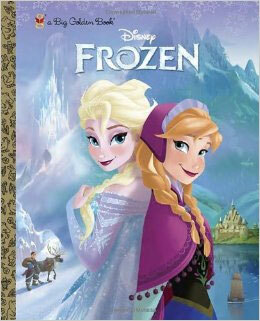 I was honored when Disney Publishing asked me to write it. This will be the first Walt biography for middle-grade students published by Disney. To put it together, I did research at the Disney Archives, some personal interviews, read lots of other sources and drew from my personal experience at the company. 7 Magic Islands: As you probably guessed, we are eagerly awaiting the release of Walt Disney: Drawn From Imagination. What are you hoping your readers will take away from the experience of the biography? Bill Scollon: First and foremost, I hope they enjoy the experience of reading the book and are encouraged to keep reading! My aim was to humanize Walt for the reader by providing historical context and personal stories. My hope is that they’ll come away with the understanding that Disney’s success is not only due to his extraordinary amount of talent, but also from his self-confidence, perseverance and ability to bounce back from adversity. 7 Magic Islands: Keys to the success of any business or other adventure in life, to be sure. Reading is obviously a very important part of your professional life. How much reading did you do as a child? What was your favorite book? Bill Scollon: To be perfectly honest, I rebelled against assigned reading in school. I felt like all the fun of it was drained out of it. On my own, I enjoyed a range of books. As a kid, Dr. Suess books were a favorite. In middle school, I liked reading mystery serials and Poe’s short stories. Later, Tolkien’s books come to mind as well as biographies and science fiction – and non-fiction – books. 7 Magic Islands: Reading certainly grew on you! Staying on the topic of your background, your family is full of creative people! Your wife makes original jewelry, your son (Alex) directs a theater in Atlanta your other son (Justin) is an executive sous chef at a restaurant in Los Angeles while your parents used to run a non-profit theater and a costume workshop, which have since been turned over to your brothers. When (and if) all the professional activity dies down, what do you do for fun? Bill Scollon: Are you kidding – it’s all fun! When my wife and I want to add to the fun, we like to go to movies, museums, try new restaurants, have friends over and travel. 7 Magic Islands: Well, when you love what you do, work isn’t work anymore; it’s fun! With your extensive experience and rave reviews from high-profile figures, you’re certainly someone young writers can look up to. What advice do you have for those looking for their break into a career as an author? Bill Scollon: Well, it may be a cliché, but the truth is “Writers write!” Many people say they want to be a writer or feel they could be a great writer, and have an idea for a novel or a script but never give it any serious effort. So, first, write! Then, share your work. Listen to feedback without being defensive. Even if you feel like the person totally missed the point, you can learn from what they say. See if you can join a writer’s group, or start one, to get feedback and encouragement. Depending on your age, see if there are writing classes available in your area that you could join. It’s really all about believing in yourself and sticking to it, even when the going gets rough. 7 Magic Islands: To borrow from another cliché, “practice makes perfect,” and we agree with you! You reach out to children through the written word, whether it’s through video media or books. What’s the best way to encourage children to read more? Bill Scollon: The best way is creating opportunities for them to discover the special magic of books for themselves, such as library events, author visits and most of all, positive role models. When kids see other kids and adults enjoying and talking about books, their natural curiosity leads them to check it out. To learn more about Bill Scollon and his work, visit him online at www.billscollon.com. Impressive interview! Mr. Scollon, you are an inspiration!